Our board includes individuals from a variety of backgrounds and professions that all share one thing in common - a dedication to improving the lives of children with autism and other special needs. 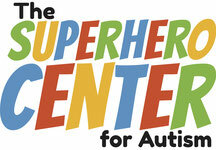 Jamie Dornink is the president of The Superhero Center for Autism. She is a stay at home mom to her two kiddos, Aubrie age 5 1/2 and Brody age 4 and happily married to her husband Kirby. 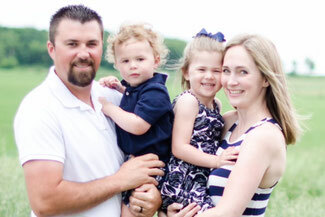 Before her daughter was born, Jamie graduated from Northern Illinois University and then became a sixth grade teacher at Machesney Elementary. Since Brody was diagnosed with autism, Kirby and Jamie have worked to create a special place for Brody in their Poplar Grove home to foster development and encourage Brody to be the superhero he was born to be. She feels that it's incredibly important to offer this same kind of safe, nurturing environment for other kiddos with special needs as well. Jamie's dream is coming true with the support of Kirby and her kiddos. Working as a pediatrician in the community, Dr. Bhateja sees the struggles of families who have children with disabilities. She believes in comprehensive healthcare including both physical and emotional well-being of children. Having The Superhero Center for Autism will create a community center for children and their families to come together and offer support to each other. We know that the support of our friends and family is an integral part of our overall healing. Hence, Dr. Bhateja finds it very worthwhile to offer her time towards helping create this center in our community. Her role as the Vice President is to be Jamie’s right hand and to help ensure that the delegated tasks are accomplished in a timely manner. Dr. Bhateja is grateful to Jamie for giving her the opportunity to serve as a Board member. Ashley Boyer graduated from Northern Illinois University in December 2008 earning a Bachelor’s Degree in Elementary Education, with a middle school endorsement in Language Arts and Social Studies. She started her teaching career in Dundee teaching 7th and 8th grade Reading. In 2009, she received an 8th Grade Language Arts position at North Boone Middle School, where she is still currently teaching. Ashley has been happily married for five years, and has two beautiful boys. Her interests include spending time with her family, participating and watching sporting events, and volunteering at her church. There are many reasons why she wants to be involved in The Superhero Center for Autism. Working with children has always been a passion for Ashley, hence a large reason why she became a teacher. Being able to connect the positive impact the Superhero Center for Autism will have on our community and the students who need this type of resource in our local schools is another huge reason she wants to be involved. Growing up in the area, she would like to give back to the community she calls home. She can see the potential, positive impact, and success the Center will bring to the area, and is excited to embark on this journey along with the many other talented board members. Barb Bressler is a developmental therapist for the Illinois Early Intervention Program. She has a Master's degree in Early Childhood Special Education and have been working in the field of providing services for kids with special needs for about 40 years. During this time, part of her role has been to help families access support services that they need to navigate the path that their superhero has led them down. She is very excited to be a part of the dream and reality of The Superhero Center because she knows there are many families who will benefit from the information, support, and "safe place to be" that this center will offer! Dan Bressler is a board-certified music therapist with a Bachelor's Degree in music therapy from Illinois State University. He completed his clinical internship at Easter Seals Midwest Autism Services where he worked with children and young adults with autism spectrum disorders. Dan earned his board certification upon completion of his clinical training by passing the examination administered by the Certification Board for Music Therapists (CBMT). After becoming board-certified, he continued his work at Easter Seals Autism Services as an Interim Music Therapist. Dan now works as a service coordinator in the Autism Support Program at Options and Advocacy for McHenry County. Hannah Miller-Hosseini has been a Speech-Language Pathologist for five years. Most recently, she completed her coursework for a Master's in Applied Behavior Analysis with the hopes of testing for board certification (BCBA) soon. Hannah currently works as a speech therapist at Mercy Health and Swedish American Hospital, as well as in the Rockford Public School District. She lives in Byron with her husband, Sean and her little girl. Her family are huge Hawkeye fans and love visiting Iowa City! Hannah has a special place in her heart for all kids, but especially those with autism and other special needs. She read a Babysitter's Club book when she was seven about a girl with autism, and has been interested in helping and serving those with special needs ever since! She is so excited to be a part of the Superhero Center for Autism. The families in our area need a consistent center where parents, children with special needs, and their siblings feel safe and supported to be who they are without having to put up a guard. Resources and support in this area can be hard to find and she knows the Center will provide this to area families. Rachel is a 1996 graduate of the University of Wisconsin-Milwaukee. She has 19 years of pediatric experience, 15 of those in the Rockford area. Rachel has done extensive training in sensory based treatment, including obtaining her SIPT Certification in 2002, as well as a special interest in hippotherapy. She is currently working at Swedish American Hospital in the Pediatric Outpatient Therapy Clinic. Rachel lives in Rockford with her husband and two children. She enjoys being involved in her children’s school, including being a girl scout leader and past PTO President. Her family enjoys spending time camping, playing with their dogs, reading, and horseback riding. Adam Fleming is a partner at the Rockford law firm of Williams McCarthy LLP. Adam's law practice focuses on assisting families with wills, trusts, and estates, including supplemental needs trusts, powers of attorney, and guardianships for adults with disabilities. Adam also volunteers for Prairie State Legal Services and serves as Chairman of the Board of Directors of Illinois Growth Enterprises, a Rockford-based non-profit supporting adults with developmental disabilities, and as a member of the Dean's Action Council at the University of Illinois-Rockford College of Medicine. He is excited to offer his expertise to The Superhero Center.